Have you ever seen this mask? 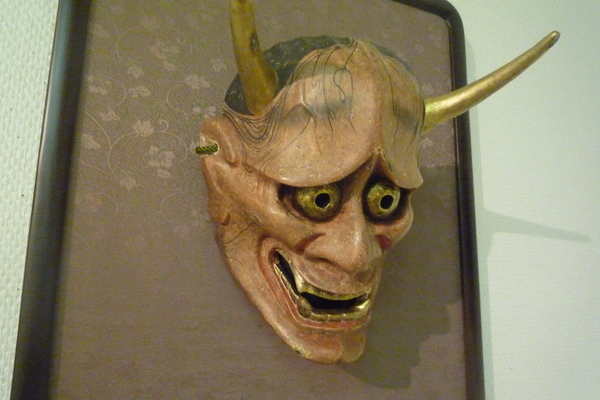 This scary looking mask is Hannya (般若). 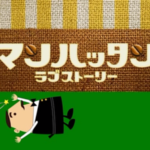 Why is it so scary looking? 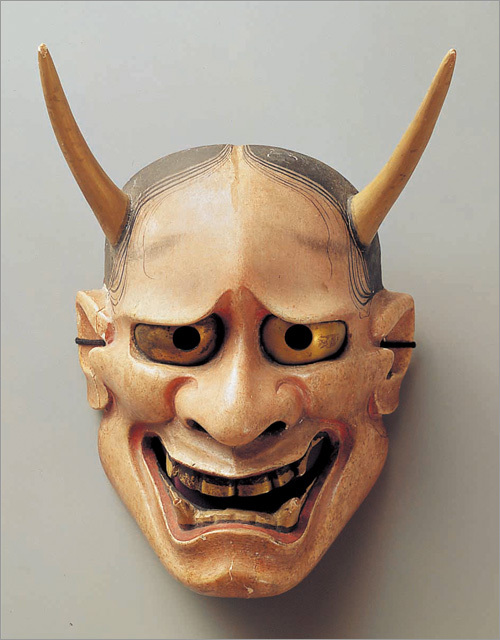 The name is after the mask maker, Hannya-bo (般若坊) who lived in the mid Muromachi era (室町時代, 1336-1573). Hannya is a female character, which expresses the sadness and anger from jealous. That is why this is so scary and she even has horns. 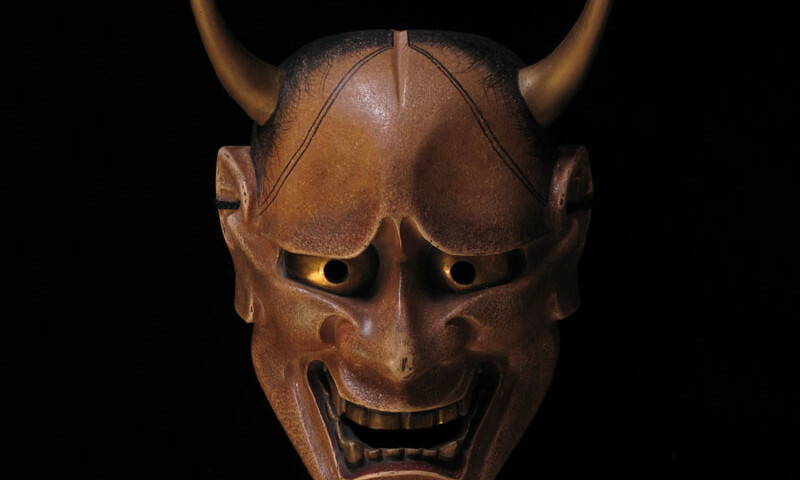 Fiery eyed demon is one of the main characters in the Noh theatre. It´s not so well-known but there are three kinds of Hannya masks. Shiro Hannya (白般若/ white hannya) is the most elegant one. 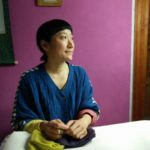 The skin is still white, which expresses the jealous of noble woman. Aka hannya (赤般若/ red hannya) has a slightly red face. She is a half way to the complete insanity. The hair starts to be messy. Kuro Hannya (黒般若/ black hannya) looks even more sad. She has gone completely insane and converted into a demon. Red Hannya and black Hannya are so jealous that they have lost control and even kill people and eat them for the grudge. 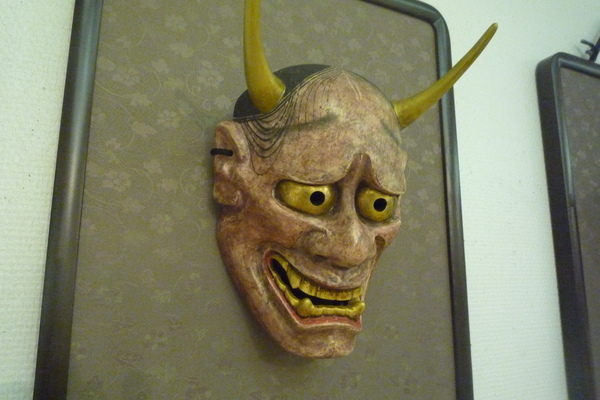 This is the personality of the Hannya in the theatre piece, Kurozuka (黒塚/ black mound). Jealous is not something you can control. 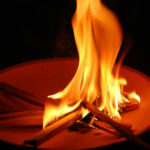 Even you know it´s not good but it can convert a woman into a demon. 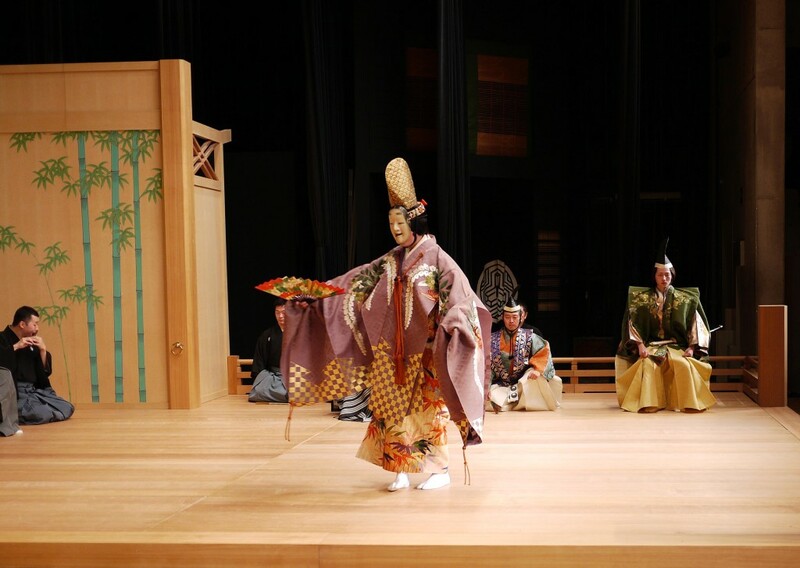 And if Hannya is one of the most important characters in Noh, that shows that the jealousy has been around very long time. 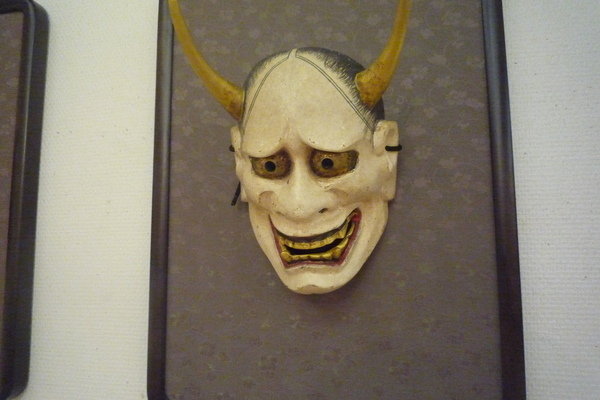 If you have a chance to see a Noh, you will recognise Hannya, won´t you?